It’s been fifteen years since the publication of David Wells’ No Place For Truth. This outstanding volume was followed by God in the Wasteland, Losing Our Virtue, and Above All Earthly Pow’rs. The fifth and final volume in this series was published on April 14, 2008 by Eerdmans Publishing Company. 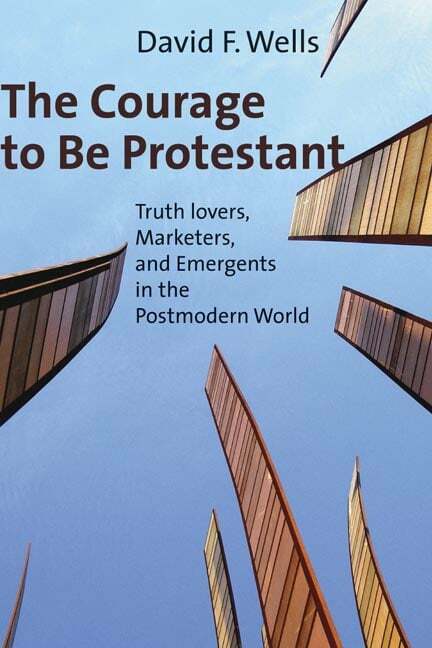 Titled The Courage to be Protestant: Truth Lovers, Marketers, and Emergents in the Postmodern World, this volume looks to be as beneficial as the preceding volumes. “The key to the future is not the capitulation that we see in both the marketers and the emergents. It is courage. The courage to be faithful to what Christianity in its biblical forms has always stood for across the ages” (p. 21). “[T]his transformation of Christianity into entertainment, is rapidly becoming the norm today, not the exception. Pastors are straining to outdo each other in becoming as chic and slick as any show in Las Vegas” (p. 24). “Everywhere in the marketing approach theology and Bible knowledge are downplayed, and then we are dumbfounded when commitment evaporates and ignorance reigns!” (p. 45). “We have enough Bibles for every household in America a couple of times over. We have churches galore; religious organizations; educational institutions; religious presses that never stop pouring forth books, Sunday school materials, and religious curricula; and unparalleled financial resources. What don’t we have? All too often we don’t have what the Old Testament people didn’t have. A due and weighty sense of the greatness and holiness of God, a sense that will reach into our lives, wrench them around, lift our vision, fill our hearts, make us courageous for what is right, and over time leave behind its beautiful residue of Christlike character” (pp. 132-3). Wells’ book is an antidote to muddled evangelical thinking, much of which is the result of our bumping our heads repeatedly jumping off one church growth bandwagon after another. It’s available for $20 in our store. Tim Challies writes a helpful review over at Discerning Reader. Read it here.